There is a part of me that is having a hard time shaking the disappointment of the 2015-16 Blue Jackets. Those seasons that are done before they even get started are hard to stomach, and the impact seems palpable throughout the fan base. I am not really jonesing for hockey the way I normally am at this time of year, though the fact that there will be a USA-Canada exhibition game Friday night is definitely stirring the juices. But I am strangely indifferent to the start of the CBJ training camp, at odds to my normal behavior. So I was thinking of this post, and developing that theme, and then I started thinking about the amazing run of the Lake Erie Monsters and how I got to go to a couple of those playoff games, and how fun they were. Most importantly, I got to go to game four of the finals, and experience the thrill of the Monsters winning the Calder Cup. The celebration of the players was quite memorable, and when I think of it my mood changes. I've been tracking Oliver Bjorkstrand's career since he was drafted, and really look forward to seeing him make the push for the big show. I will be intrigued with how Werenski does, and if he can hold on to an NHL spot through the longest season he has yet to experience. Our defensive corps has been dramatically reshaped in a fashion that is hoped will be more competitive. While center is still a bit of a work in progress, in general, the forward group is pretty reasonable, with some potential for some real pop. But the goal tending situation makes me slightly nauseous when I think about it. The fact that Joonas Korpisalo was the best goal tender of 2015-16 in what should have been a development year for him is not a good thing. But then there was Anton Forsberg's brilliant performance in the Calder Cup finals, snatching the net from Korpisalo after he had a couple of shaky periods, and refusing to relinquish the starting spot with a 9-0 run. Bobrovsky is facing much more pressure from below than he has faced in the past from this young tandem. For Curtis McElhinney, its either win or play in the AHL. The 2016-17 schedule is loaded with back to back games, and it is imperative that Bobrovsky not play in a single back to back situation. The backup goal tender position MUST produce this year, as it has not (with the exception of Korpisalo) for the last two seasons. The competition at goal tender in training camp is going to be pretty intense. If one of the young goal tenders snatches the backup position (likely) the problem is that for development purposes they are going to need to see the net with some regularity, not just with back to back games. 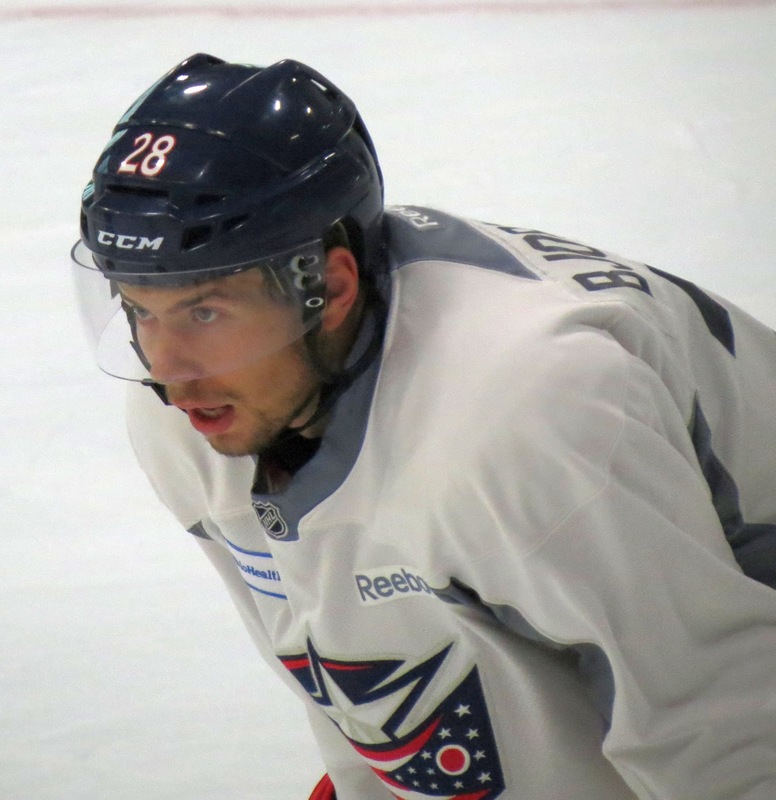 It seems Bob only has so many minutes in him in any given year, and it is time that the CBJ manage those minutes wisely. No more riding Bob like a rented mule. Hoo Boy! THAT Got the Juices Flowing!